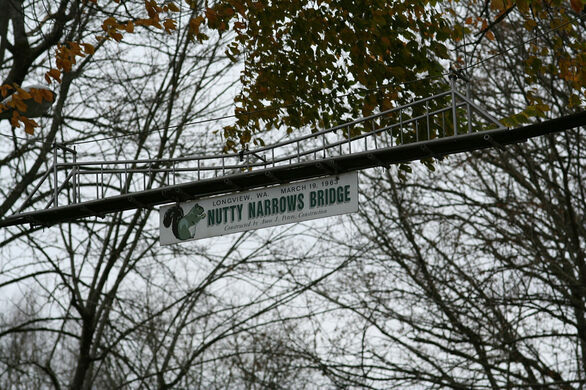 The Nutty Narrows Bridge was constructed in 1963 by a local builder, the late Amos Peters, to give squirrels a way to cross Olympia Way, a busy Longview, Washington, thoroughfare, without getting flattened by passing cars. Before the bridge’s construction, squirrels had to dodge traffic to get to and from the Park Plaza office building, where office staff often left out a nutty feast for the squirrels. Many times, Peters and others who worked in and near Park Plaza witnessed squirrels being run over. 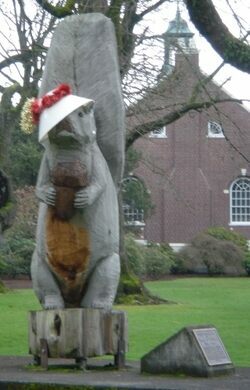 During a lunch break one day, the safety of these squirrels was discussed and the bridge seemed the best solution. 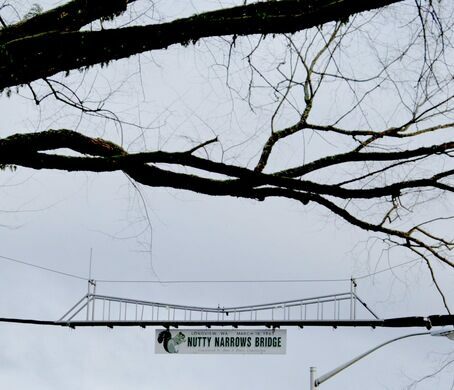 With City Council approval, Peters and a group of associates installed the Nutty Narrows Bridge (its name referencing the much larger Tacoma Narrows Bridge). Squirrels were soon using the overpass to cross the road safely. Due to decay, the bridge was relocated in 2007 to its current place between the Civic Center and R.A. Long Park over Olympia Way. Witnesses have reported seeing young squirrels being taught by their parents how to use the bridge. 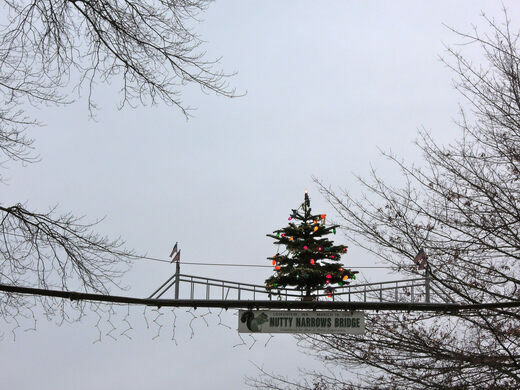 If you drive around the residential area there, you will also see other squirrel-bridges near Lake Sacajawea. In Longview, follow signs to Civic Center. The Longview Public Library (1600 Louisiana St, Longview, WA 98632) is host to the bridge which crosses Olympia Way directly in front of the library.